The Olympus PEN camera bodies are surprisingly small and compatible with interchangeable lenses from both Olympus and Panasonic. The PEN housings are also compact and lightweight, and we offer support for a variety of lenses thanks to custom ports from ZEN Underwater. 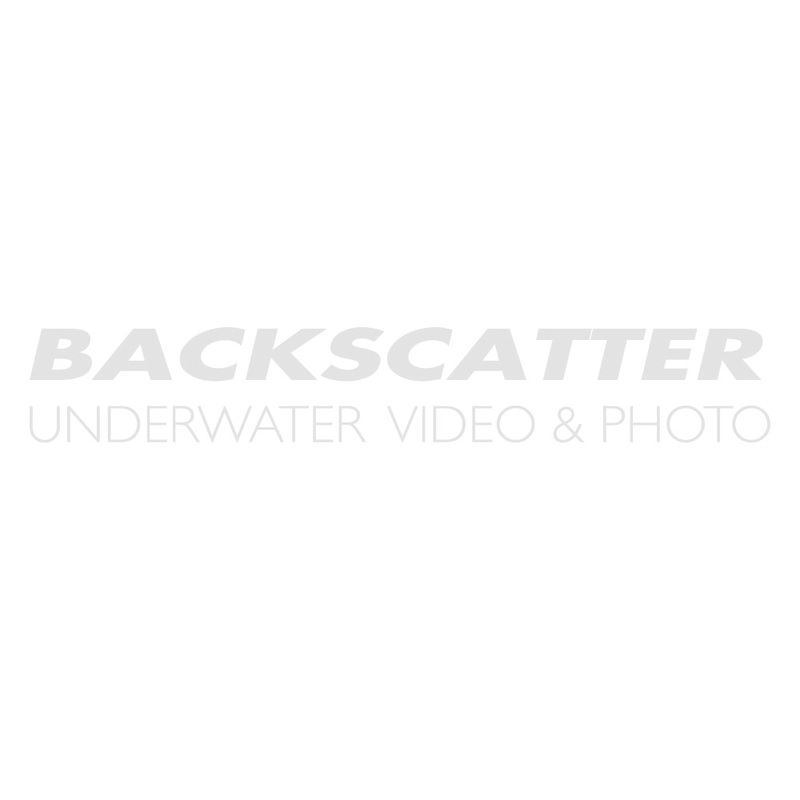 Our staff are experts with Olympus underwater housings and underwater strobes. As an authorized Olympus dealer, we'll help you put together the best package for your Olympus PEN camera. Please call us with any questions. Recsea RDH-SA6000 Housing is the most lightweight and compact housing for the Sony a6000 Mirrorless Camera. With excellent ergonomic and full functionality, you can be sure to always get the shot. With the push-button rotary Rear Control Dial, you can quickly adjust camera setting with ease. The RDH-SA6000 includes a dual port O-ring system and is compatible with the optional Recsea Vacuum System (RAVS). The OM-D E-M10 Mark II is a sophisticated but easy to use camera. Whether you're new to photography or a photo enthusiast looking to maximize your creativity, the E-M10 Mark II delivers flawless image quality thanks to its sophisticated image stabilization in a compact profile with intuitively placed controls. The NA-GX8 sports some of Nauticams latest technology with the port locking latch that replicates the famous Nauticam DSLR port latch making housing port changes easier than ever. The new housing takes full advantage of the Panasonic's many features and allows easy one handed operation of key controls like the three command dials and the video record button. The NA-GX8 supports 7 programmable buttons on this camera, easily accessible from the housing. The sculpted shutter release makes "half-press" focus incredibly easy. Designed to inspire, the EOS M3 digital camera brings true EOS performance and image quality to a compact, stylish and elegant package. A pleasure to operate, with the sophistication to create stunning still and moving images, the EOS M3 is an ideal EOS for many applications, such as portraiture, landscape, travel and everything in between. With its large 24.2 Megapixel APS-C sized CMOS sensor and DIGIC 6 Image Processor, the EOS M3 captures high-resolution images and Full HD movies suitable for most any application. The NA-EOSM3 housing delivers ergonomic control access, complete functionality, and a comprehensive lens port lineup. Essential functions are placed for fingertip access at the sculpted right grip. Key controls, such as f-stop, shutter speed, exposure compensation, focus point, and the star button (*) are all easily accessed from the housing grip. The highly refined Nauticam shutter release lever provides tactile feel of half press, critical for accurate pre-focus. Making strides in the video arena, the a7S II Mirrorless Digital Camera from Sony offers an impressive blend of sensitivity, dynamic range, resolution, and speed to benefit a versatile multimedia workflow. Revolving around a full-frame 12.2MP Exmor CMOS sensor, the a7S II is capable of internal UHD 4K recording at 30 fps with full pixel readout as well as 1080p recording at up to 120 fps, all in the XAVC S format. For both stills and video recording, the BIONZ X image processor also pairs with the sensor to enable expanded sensitivity to ISO 409600. The NA-EM10II is the sixth Olympus Mirrorless Housing designed and manufactured by Nauticam, and the sixteenth model built around the Micro Four Thirds lens lineup! Twenty micro four thirds lenses, including all popular lenses for underwater photography, are supported by this system. This experience results in the most refined, reliable, and ergonomic solution available today for the Micro Four Thirds user. The two biggest advantages of shooting underwater with an interchangeable lens camera are the variety of great lenses available, and the ability to connect directly to connect an external flash directly to the camera. This housing is designed with these key points in mind to deliver a system that truly helps you take better photos in and under the water. A compact, full-featured waterproof housing for scuba diving, surf, pool, and creative photo opportunities anywhere there's water. This exciting update to the Sony Alpha a6000 features a new 24 megapixel APS-C sensor and a 4D FOCUS system that they claim to be world's fastest among current APS-C mirrorless systems. The a6300 feels great in your hand with a simple and ergonomic control set. Ikelite extends this underwater, providing larger controls and push buttons which are easy to access even with thick gloves. Whenever possible, controls are located in the same configuration as on the camera to replicate the muscle memory and familiarity you've developed with your camera on the surface. Control symbols laser engraved into the back of the housing will never peel off or fade even with years of use. The camera's large, super-bright LCD screen is viewable edge-to-edge through the back of the housing. Ikelite would like to introduce an important term that has been missing from all previous discussions about taking the Sony Alpha 7 series underwater: TTL. When your subject is quickly approaching, you'll be glad to have the only housing that provides TTL support for Alpha 7 cameras. An integrated TTL circuit features model-specific encoding, which has been fine-tuned to Sony's latest flash exposure protocol. The circuit is powered by the strobe for zero maintenance and no batteries to change. Exposure compensation in TTL mode is supported using the camera's built-in control. At this time, only Ikelite DS strobes are capable of powering the circuitry. The Sony a6300 is one of the most versatile high performance mirrorless interchangeable lens cameras released to date, and it may be one of the most fun to use. The camera has the same 24 megapixels found on the preceding a6000, and a body with similar cosmetics, but overall autofocus and image making experience are dramatically improved. The housing and accessories are lightweight, and easy to assemble. Key controls are placed at the photographer's fingertips. The camera drops in without any control presetting, and lens port changes are effortless. Magnifying viewfinders, the sharpest super macro accessory lenses ever made, and now the most versatile wet mount wide angle lens (the WWL-1) combined with the NA-A6300 housing form a complete imaging system. The underwater housing PT-EP14 houses and protects your E-M1 Mark II made of high quality polycarbonate keeping the weight to a minimum and allowing full control of all camera functions down to 196 feet. Featuring an exchangeable lens port system allowing you to customize to your diving needs. The a6500 feels great in your hand with a simple and ergonomic control set. Ikelite extend this underwater, providing larger controls and push buttons which are easy to access even with thick gloves. Whenever possible, controls are located in the same configuration as on the camera to replicate the muscle memory and familiarity you've developed with your camera on the surface. Control symbols laser engraved into the back of the housing will never peel off or fade even with years of use. The camera's large, super-bright LCD screen is viewable edge-to-edge through the back of the housing. 20.3MP with no low pass filter. 4K 60fps & 1080p 180fps.